The winter months can be a really difficult challenge for your training schedule because, with all the winter gear in the world, there will still be a lot of days when you simply will not be able to go outside. More than that, although possible, training outside, in winter, is not comfortable and, for many of us not fun. 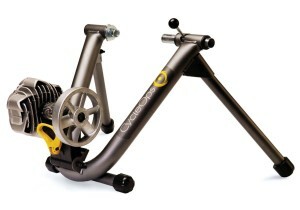 However, there is an alternative, and it is definitely better than using an indoor bike: using a bike trainer. There are 2 basic types of bike trainers: magnetic and fluid and they both have their advantages and disadvantages. The one thing, though, that you need to consider when choosing any bike trainer, is that, this is meant to be just a fun accessory that will let you train during the harshest part of winter, so it really should not put unnecessary strain on your savings account. Keeping that in mind we set out to find the top 10 best bike trainer, and, don’t worry, we have selected several high end products, that still come with a reasonable price tag, and we have also looked at some more affordable bike trainers, that will still help keep you in shape. So make sure to scroll past the following table that details mostly the prices and the Amazon ratings for each product, and check out the independent reviews we have prepared for each product. Most experts agree that fluid resistance bike trainers are the better option because they provide a more accurate feeling of a real ride. That is because the way a fluid resistance trainer works is that you have a flywheel spinning in a very thick fluid, and, basic fluid dynamics, tells you that the fast you get that flywheel to spin the stronger the resistance from the fluid will be. That further means that it does not really matter how good you are, you will never be able to reach a point where the CycleOps Fluid 2 Trainer will seize to be useful to you. Instead, much like when riding a bike on the road, you will be able to increase your speed only to a specific point and, from then on, you will reach a plateau speed that will be your training speed. The CycleOps Fluid 2 Trainer has a very big cooking system that make the entire trainer feel like a more stable platform, and it keeps the entire system cool so you will not have any nasty hot oil smells in your room and your bike trainer will last for a much longer period of time. Before we move on to more affordable, magnetic resistance models, we thought we would give you an alternative for a fluid resistance bike trainer, with Kinetic by Kurt Road Machine. It works on the same principle of a flywheel spinning inside a fluid, so the faster you peddle, the stronger the push back from the system will be. The thing that really differentiates this bike trainer from all other offers on the market, even the more expensive models, is that it has a really large base that keeps it perfectly stable even for stand up riding. In fact the manufacturers are so confident on the stability of their system that they are offering a life time warranty, including a crash replacement policy. So if you can push the system so hard that it will tumble over and brake, they will replace it for you for free, no questions asked. However, we have had a few very intense training sessions on the Kinetic by Kurt Road Machine and it ran so smoothly that all we could hear was the sound of the tire rolling on the trainer. Those of you with a good visual imagination will already know what the biggest problem with the fluid resistance bike trainer is: you cannot adjust the resistance level of the fluid. The resistance does increase very nicely to follow the curve in your speed, but it is very difficult to mimic slowly pedaling up a mountain or against the wind. 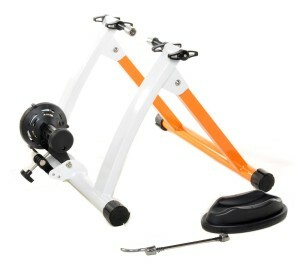 And we also have to face the fact that a fluid bike trainer is a much more expensive choice than a magnetic trainer. Which is why our favorite bike trainer is the Bike Lane Pro Trainer, a magnetic resistance trainer. It comes with a resistance adjuster knob that you can fix on the handlebars, and you can simulate anything from going downhill to a very steep mountain climb, with a simple turn of the knob. 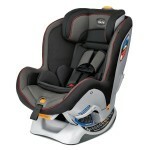 It is also incredibly stable and very light, and you can fold it away for storage during the summer months. As we have already mentioned in the beginning of this article, price is a very important factor when choosing the right bike trainer for you. 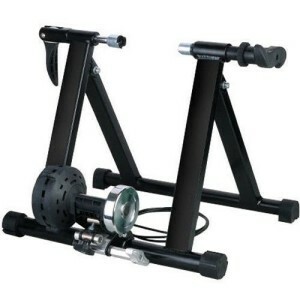 The Magnet Steel Bike Bicycle Indoor Exercise Trainer Stand from FDW is one of the most affordable bike trainers on the market, and yet it is also one of the best. It has actually earned a 4.3 star rating on Amazon from over 600 customers and we would argue that it deserved more. 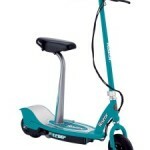 It has 5 resistance levels, so you can change your riding experience from going up mountains to down will. 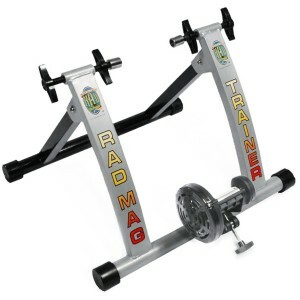 Its only disadvantage, when compared to the other, more expensive magnetic trainers, is that it is made of steel and, as such, it is a bit heavier and you would not be able to take it with you to various competitions sites to warm up with it. 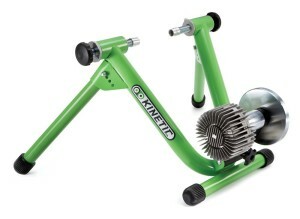 The advantage of that extra weight, though, is that this is a more stable bike trainer because of it. If you like the idea behind a fluid resistance bike trainer, which is that the resistance increases with speed, but do not fancy paying the premium for that, you are going to love the Conquer Indoor Bike Trainer. It is use a progressive magnetic resistance system, that basically makes it harder to peddle, the faster you go. 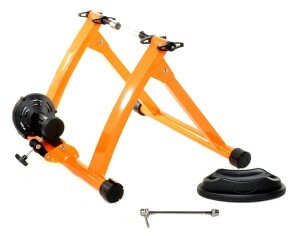 It is also a great choice because it comes with its own front wheel riser block. However, you should take into consideration the fact that you no longer can control the resistance level from the a handlebar mounted knob. As we head into the second half or our list we are going to look at some more expensive bike trainers that are not really worth the extra cash unless you need them for their specific characteristics. 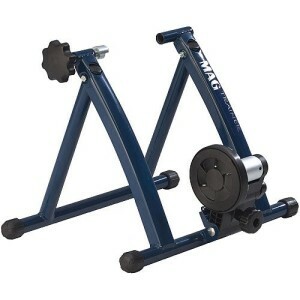 The Graber Mag Indoor Bicycle Trainer is just one such example and the only reason why you would want to buy it is because it only has 3 levels of resistance and thus it will force you to really go through a very intense workout without having the option of taking it easy. It is the perfect choice for those of you who want to stay in shape over the winter months but know that you will really miss the help of your coach. 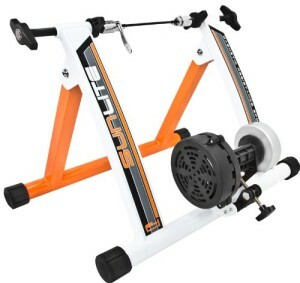 The Soozier Magnetic Resistance Cycling Indoor Bike Trainer it the best choice for those of you who do not have a quick release system on your rear wheel. The Soozier actually grabs hold of the center axel hub, so you do not have to do anything to your bike. Its biggest advantage is the fact that it is one of the most affordable trainers on our list with an impressive 4.3 star rating on Amazon. However, because it does not make use of the quick release system, it is not really the safest trainer on the market, and you should make sure that you have plenty of thread left on both sides of your wheel’s axel so that the grip will be as secure as possible. Although it is a relatively expensive bicycle trainer, we would have to admit that the RAD trainer is one of the most silent ones we have tried so far. It also has one of the thinnest profiles when folded up, but it is made of steel so it is quite heavy. However, that extra weight makes it more stable and gives you a feeling of security even when you try stand up paddling. 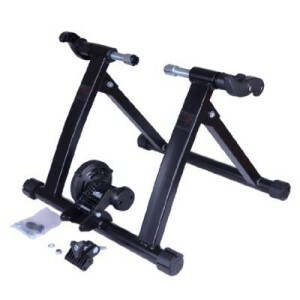 The biggest advantage you get in buying the Indoor Bicycle Cycling Trainer from Gavin, is that it is a complete solution. It is a quick release type of trainer, so you should make sure that you bike has that feature. It comes with a front wheel riser block and the extra quick release axel so you do not risk any damage to your bike’s axel. Ideally you should have a yoga mat or something of that kind underneath any bike trainer, but that is true for any of the models we have talked about so far. What is interesting about the Indoor Bicycle Cycling Trainer is that it was deliberately made to be a little heavier than the rest, so it will be even more stable than any of the competitor’s products. The Sunlite F-2 Trainer might have made it in our top 5 best bike trainers favorites if its key feature was included in the price. The great thing about the Sunlite F-2 Trainer is that it uses a quick release system, like most other products on our list, but it also has an axel adapter if you do not have a quick release system on your bike. However, the bad news is that you have to buy it separately. 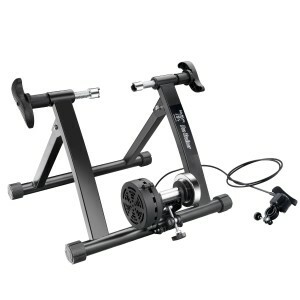 For the rest, this is an excellent trainer, but because it is somewhat expensive, and the adapter is not included in that price, we had to leave it for the last spot on our list.